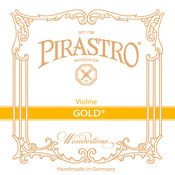 Gold Label are the budget gut core strings from Pirastro. 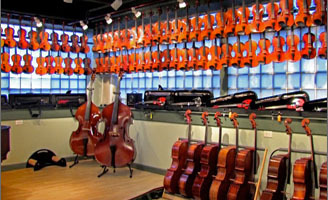 Medium gauge only. 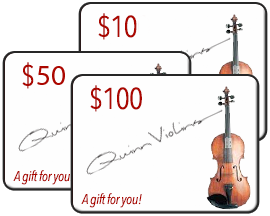 The E string in this set is a top seller for use with other brands of A, D and G.